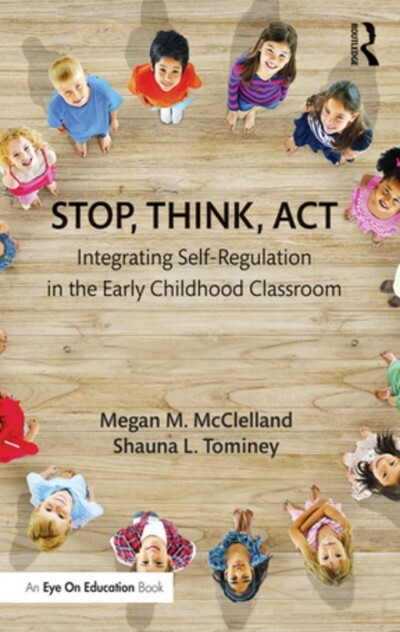 Stop, Think, Act: Integrating Self-regulation in the Early Childhood Classroom offers early childhood teachers the latest research and a wide variety of hands-on activities to help children learn and practice self-regulation techniques. Self-regulation in early childhood leads to strong academic performance, helps students form healthy friendships, and gives them the social and emotional resources they need to face high-stress situations throughout life. The book takes you through everything you need to know about using self-regulation principles during circle time, in literacy and math instruction, and during gross motor and outdoor play. Each chapter includes a solid research base as well as practical, developmentally-appropriate games, songs, and strategies that you can easily incorporate in your own classroom. With Stop, Think, Act, you’ll be prepared to integrate self-regulation into every aspect of the school day.